TCC is one of two institutions of higher learning to receive the Ultimate Collision Education Makeover Grant from the Collision Repair Education Foundation. 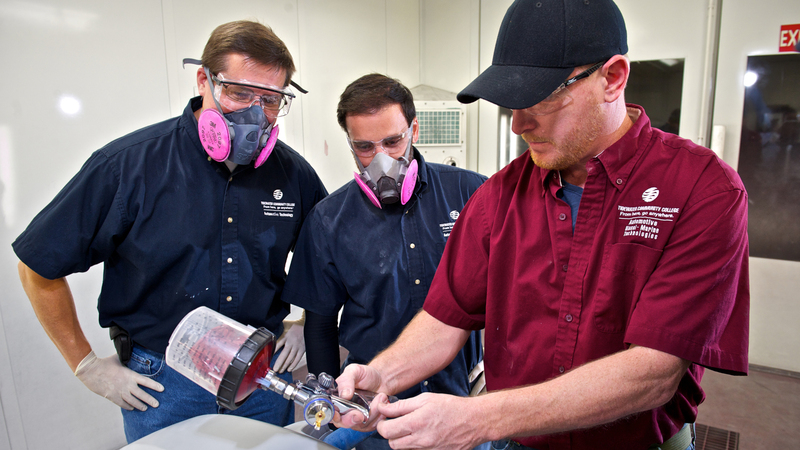 Tidewater Community College’s collision repair technology programs are getting a makeover. TCC is one of two institutions of higher learning in the nation to receive the Ultimate Collision Education Makeover Grant from the Collision Repair Education Foundation. With this boost in funds, the college will purchase state-of-the-art tools, equipment and consumables to meet industry standards. TCC’s collision repair programs, which are housed in the Chesapeake Public School’s Center for Science and Technology, prepare students for entry-level positions in non-structural repair and refinishing. During the day, Chesapeake high school students study collision repair technology with a TCC professor and earn dual enrollment credit. At night, TCC offers classes to students seeking collision repair training at the same location.